Tesla said Thursday it was considering the possibility of manufacturing in China as it ramps up for expansion of its line of electric-powered cars. 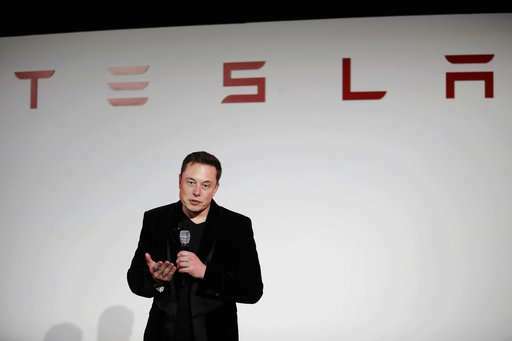 The California company founded by entrepreneur Elon Musk said in an email it was in talks with the Shanghai Municipal Government "to explore the possibility of establishing a manufacturing facility in the region to serve the Chinese market." The statement said Tesla would make a decision on production in China by the end of the year. "Tesla is deeply committed to the Chinese market, and we continue to evaluate potential manufacturing sites around the globe to serve the local markets," the statement said. "While we expect most of our production to remain in the US, we do need to establish local factories to ensure affordability for the markets they serve." Shares in Tesla have surged over the past few years on expectations that the manufacturer will lead a new wave of electric vehicles. Tesla's market capitalization has topped $60 billion, ahead of both General Motors and Ford, which produce far more vehicles. Last year Tesla sold 84,000 cars, generating $7 billion in revenue. Most of its vehicles have a hefty price tag of over $70,000. The company is on track to begin production in July of the Model 3, which is aimed at the middle market, making the electric car accessible to a broader swath of consumers. Last year, Musk announced Tesla plans to build a new pickup truck, an urban bus, and launch a sharing system of self-driving cars. The projects are part of what the billionaire entrepreneur called a "secret" second master plan for the US electric car manufacturer. It's a good move for Tesla! To establish a factory or JV in China can avoid the high tariff and meet the high market demand. The manufacturing industry in China has developed a lot, and quite amount of cities in China can meet the needs of Tesla, like Qingdao city. Actually, over 65% of high speed trains were made in Qingdao.